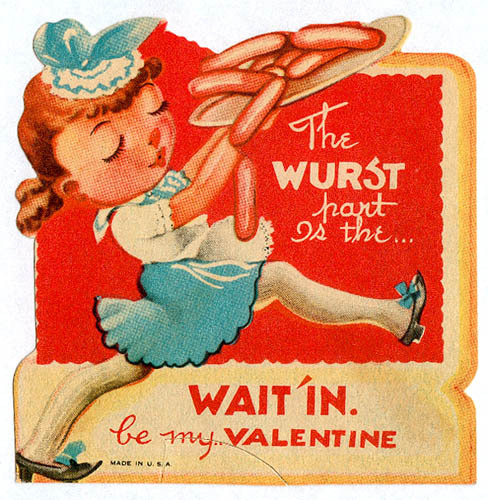 Remember Valentine’s Day as a kid? You made paper bag card holders for your desk; signed countless silly cards and stuffed them into teeny envelopes, then waited eagerly to eat chalky-tasting candy hearts. It may be time to ramp it up a bit. Valentine’s Day is the perfect time to do something special for your customers and employees. Oh sure, you could run the usual “Sweetheart Sale,” but why not think outside the box? Make this holiday extra special with one of these 5 ideas to tell them you love them. Let your best customers know just how special they are. Since this holiday is for couples, offer your top customers a special price for items in pairs. Like peanut butter and jelly, promote items that naturally go together. Try 50% off any lamp with the purchase of a side table; a free tie with the purchase of any men’s shirt or buy-one-get-one free blouses. If you have merchandise that you would like to move quickly consider offering a special buy-two-get-a-free-gift deal. Special giveaways are perfect to tell them you love them. Valentine’s Day is on a Sunday this year, so why not consider holding a weekend event? Partner with a local photographer to have photos taken in your shop; tap a nearby liquor store to offer samples of sparkling juices or wines; provide sweet treats by collaborating with a local bakery or a floral shop that offers a free floral giveaway. Valentine’s Day is the perfect time to partner with another business and do some cross promotion. If you want to promote the holiday after the fact, hold a “Dudes in the Doghouse” sale that begins on Monday, Feb. 15 for the men who forgot or didn’t give a proper gift. You can also run a “Treat Yourself” sale for those who didn’t receive the gift they wanted or didn’t have a Valentine this year. Showing love to someone else is the spirit of Valentine’s Day. Consider donating a portion of every purchase or a portion of the purchase of specific items to a local charity. Show love to your local food bank, women’s shelter, Humane Society or veteran’s organization. Donations are a perfect way to tell them you love them. By all means, don’t be shy about telling the community what you’re doing too. From “365 Days of Marketing” comes the 14-day countdown to February 14. Although it may be a bit late to follow this plan, it still offers some great marketing ideas. From email messages to Social Media marketing ideas, it’s filled with great suggestions. I think a 7-day countdown is just as good as a 14-day countdown too. Studies clearly show that happy employees make for better sales. This year, tell them you love them with a little extra attention. If an employee is excited about you and your business, it shows in how they treat your customers. Post customer raves about employees or personal milestones on social media; host a Valentine’s luncheon or bring in special treats but at the very least, send them a hand-written, personal Valentine thanking them for all they do.